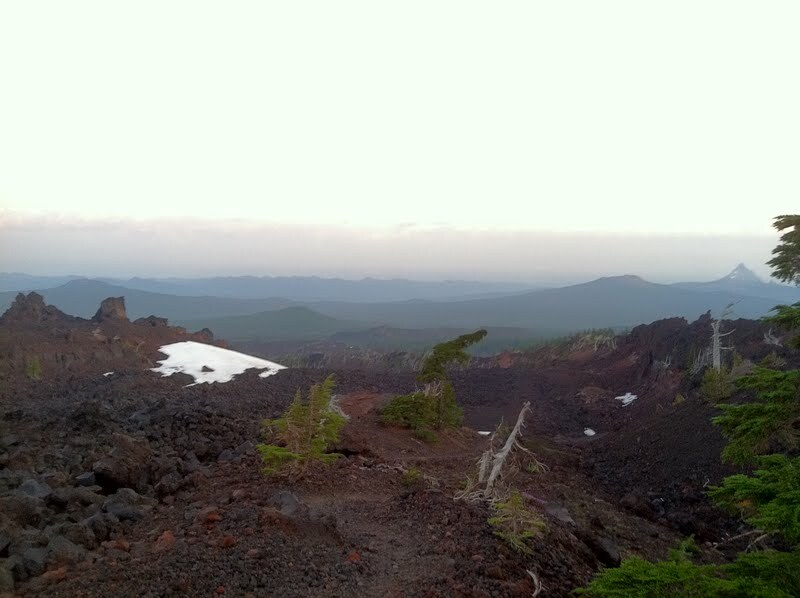 I started off with a peaceful and serene hike over Opie Dilldock Pass as the sun was rising. I passed LaFonda and Euro Trash taking down their camp and we saw each other on and off as the day went on. This section of trail overlaps with the popular backpacking loop around the sisters and I’ve seen many backpackers. Most have overly large packs and I made note of three guys walking towards us who had small packs and seemed to know what they were doing. I said something to them as they approached us and realized it was Henry Shires who created my Tarptent. 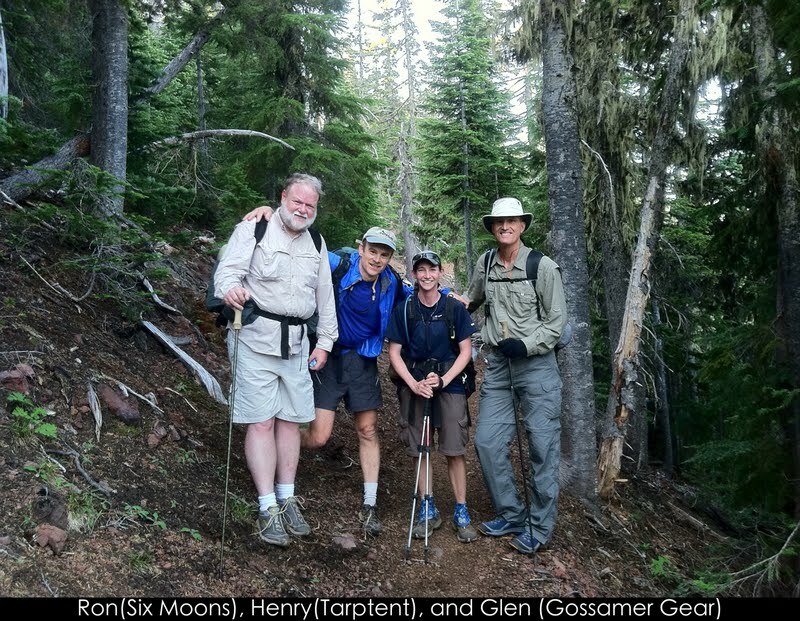 He was with Ron who owns Six Moon Designs and Glen who owns Gossamer Gear. They even said the guy from Ultra Light Adventures was joining them tonight. It was all the kings of ultralight backpacking gear on one trip! I was so happy to see they all hang out because they are competitors. That’s why this community is so great though. It isn’t about the money or competition. I told them that and Henry said they even have a name for the group of them and it was too geeky for me to take it all in, but it ended with Brain Trust. He said they joke about how one well placed missile or natural disaster could wipe them all out at once. Of course, I had to get a picture. Soon after that, the painful hiking began. There was almost 2hrs of painful lava rock to walk on AND it was uphill. Ouch! The only consolation was the great view of Sisters. 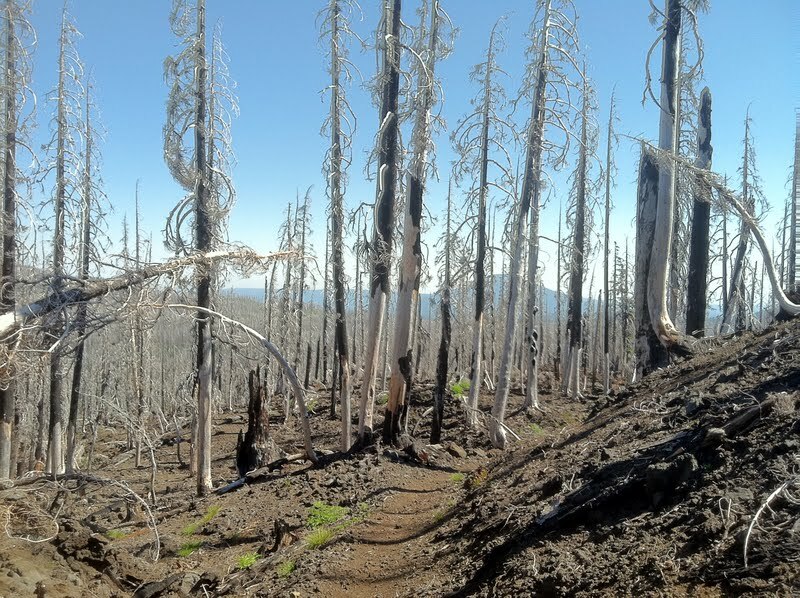 I thought it was over when we hit the burn area and it didn’t! 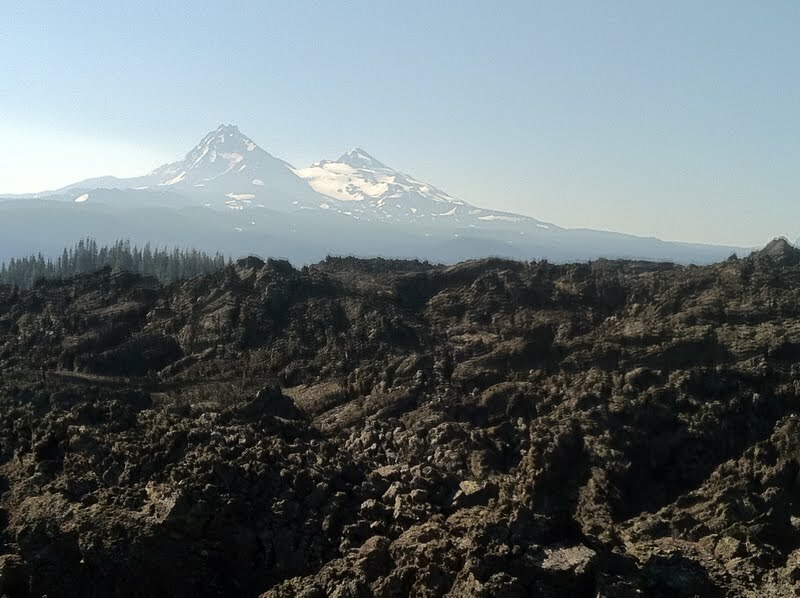 There was still a good deal of lava rock mixed in there and the sun was beating down with a lot of uphill. It really got to me and was exhausting. After what felt like an eternity, it got slightly shaded around a corner and I caught up with LaFonda and Euro Trash eating lunch and they were also not amused. 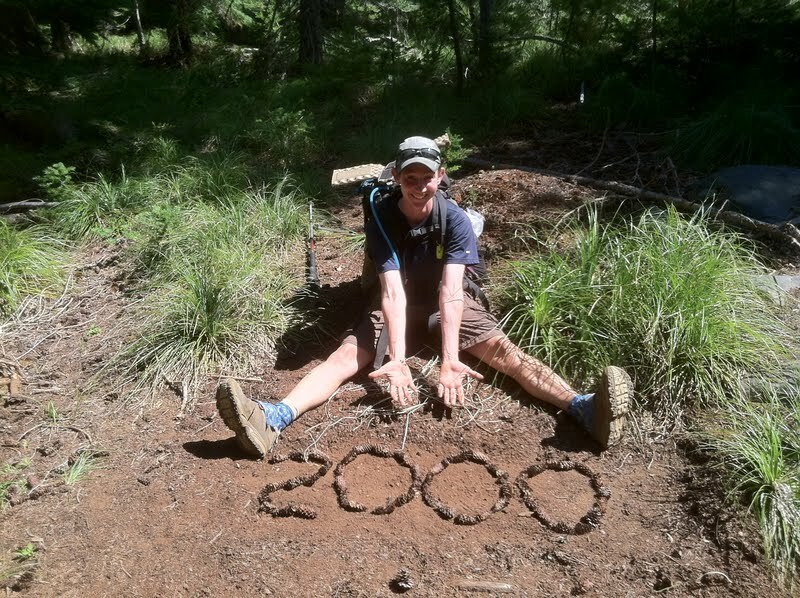 We did have the 2000th mile coming up and that motivated us to push the next couple miles. I sat there and tiredly ate some Cheetos and Chips Ahoys to celebrate. A mile later, I hit the side trail for the Big Lake Youth Camp. I got to shower, do laundry, and resupply. I was quite psyched about my awesome treats from my sister, my sister-in-law and brother, and Deb and Linda. Thank you all! This might be my best resupply yet! I had gotten there by 2:30pm and was trying not to get pulled into the vortex and get right back on the trail. 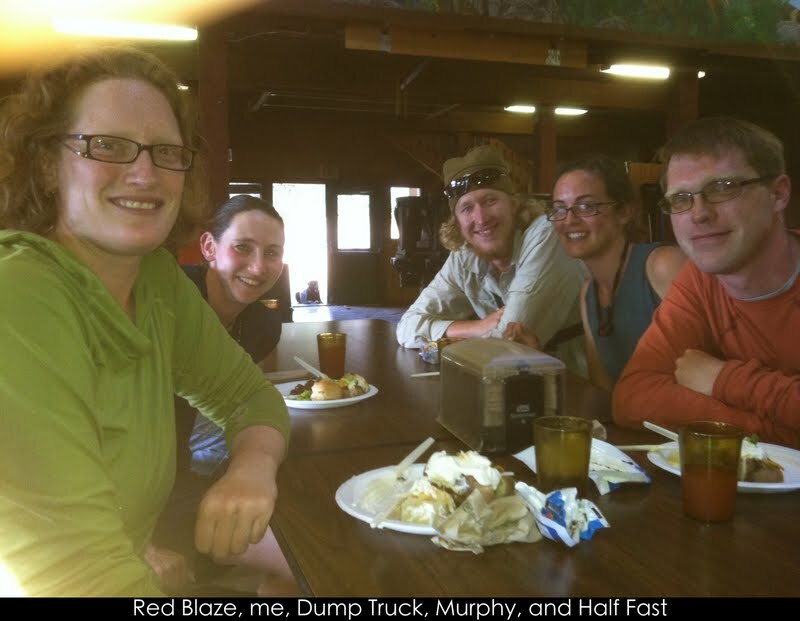 Murphy, Dump Truck, Half Fast, and Red Blaze were there too. They served dinner at 5pm and I was still determined to get back on trail a few miles after eating. 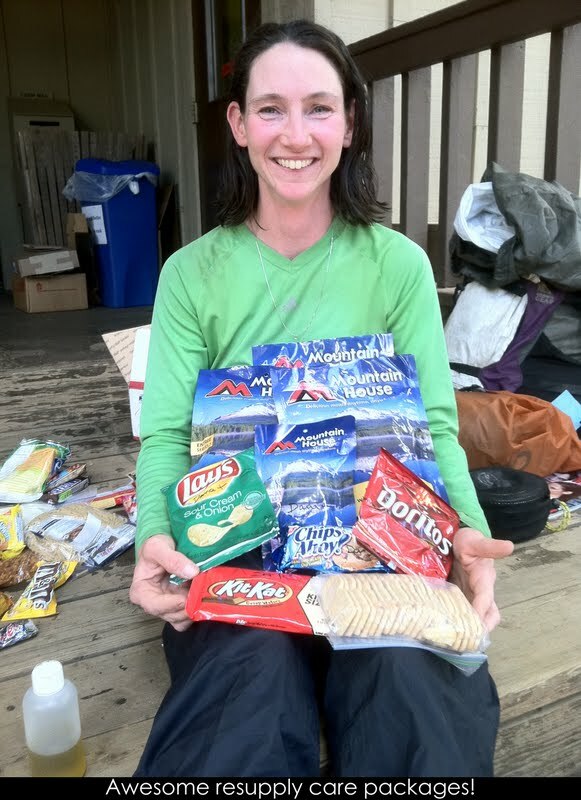 Then I ate…and was ready to fall asleep…plus, I had emails and phone calls to tend to…and to top it all off, they had a bunk house we could stay in and I wouldn’t have to set up my tent…vortex here I come! I decided to stay and I’m so glad I did! My feet are still aching and I need the rest for big miles ahead. 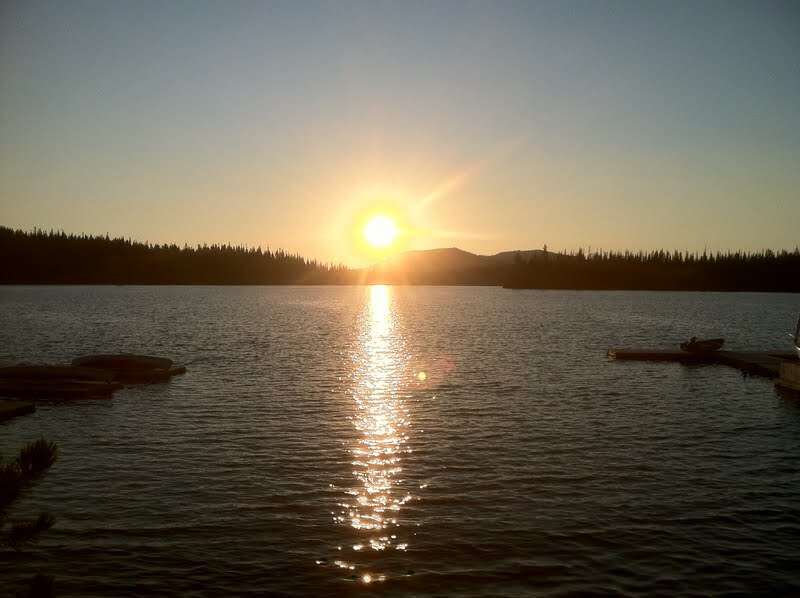 Plus, the sunset over Big Lake was great! What a day! Wow you met so many hiking legends on this hike!